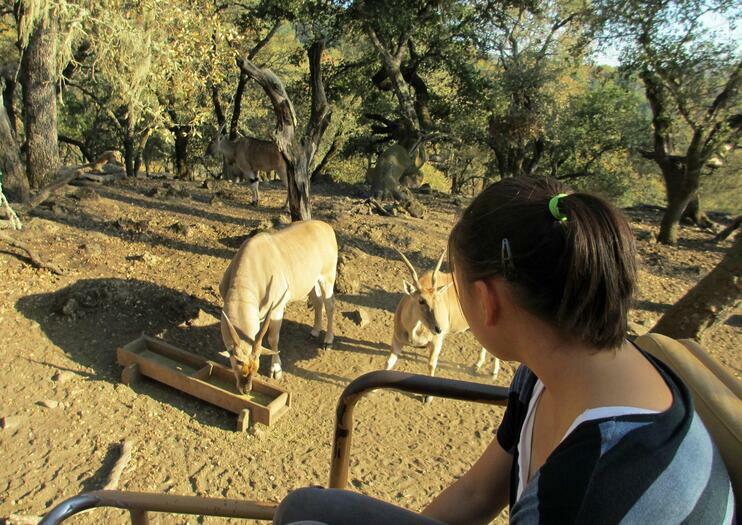 Safari West is a 400-acre (162-hectare) private wildlife preserve located in Santa Rosa, California. The park focuses on species native to Africa and is home to more than 800 wild animals, including cheetahs, Cape buffalo, zebras, rhinos, and giraffe. Set in the heart of wine country, the preserve is known locally as the Sonoma Serengeti. There are a number of ways to explore, including jeep or double-decker truck tours and private safaris with dedicated tour guides. It’s also possible to spend the night in luxury tents and cabins. The tents are glamorous, with polished wood floors, private bathrooms, and handmade furniture. Bring earplugs if you're staying in a safari tent; the animals have a reputation for staying up late and just generally being noisy sleepers. Pets are not allowed at Safari West; call ahead if you plan to bring a licensed service animal. The Serengeti Trek paratransit van is the best exploration option for wheelchair users, and accessible cabins are also available. Just 75 miles (121 kilometers) from San Francisco, Safari West lies in the heart of California’s Sonoma County. Public transportation in the area is limited, so the best way to reach the park is by car. Parking is available on-site, and the Sonoma County Airport is just 10 minutes away. Reservations are required at Safari West, whether you want to spend the night or just take a safari tour during the day. Safari tours depart every day in the morning and afternoon, regardless of weather. Currently a fully accredited zoo, the three goals of Safari West are education, conservation, and exploration. The Langs, who own the preserve, are dedicated to research and conservation of the species they house.